RAISING TIBET – RAISING TIBET AWARENESS 1. NATURAL FORCE IN ACTION – PLATE TECTONICS 2. RED CHINA’S OCCUPATION USING MILITARY FORCE. Mother Nature has vast resources of energy which she is slowly spending over the last 50 million years to Raise Tibet with ease and without any apparent effort. Surprisingly, humans are spending more energy as compared to Mother Nature’s energy expenditure to Raise Tibet. I am not resourceful like Mother Nature. My efforts to Raise Tibet Awareness is lot more challenging for Red China with her superior military force occupied Tibet which could not offer significant resistance. Tibet existed as Independent Nation with full control on its internal affairs even during times of Mongol and Manchu China Empires. As such Tibet is not part of China at any time in human history. There are two issues of primary concern; 1. Action of Natural Forces Raising Tibet, and 2. Red China’s use of Military Force to Occupy Tibet which demands Raising Tibet Awareness. Disclosure statement: Mike Sandiford receives funding from the Australian Research Council for research into the tectonics of the Indo-Australian tectonic plate. University of Melbourne and Victoria State Government provide funding as founding partners of The Conversation AU. It’s more than a little disconcerting to wake every hour or so, gasping for air, suffocating. 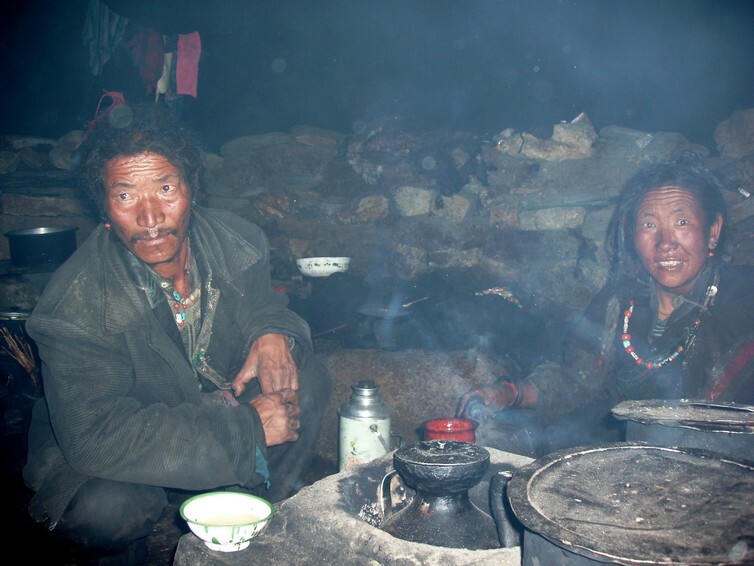 It happened to me during a field season in southern Tibet camped at about 5400 metres above sea level. With my normal sleep breathing patterns, I just couldn’t get enough oxygen. We were working in an area known as the Kampa dome, some 50 kilometres north of the border with India and about 150 kilometres east of Mount Everest. RAISING TIBET – RAISING TIBET AWARENESS 1. UNDERSTANDING OF NATURAL FORCE IN ACTION – PLATE TECTONICS, 2. KNOWING RED CHINA’S OCCUPATION OF TIBET USING MILITARY FORCE. Crossing a pass into the Kampa dome, southern Tibet, elevation 5500 metres. The Kampa dome is a sort of giant geological “blister”. 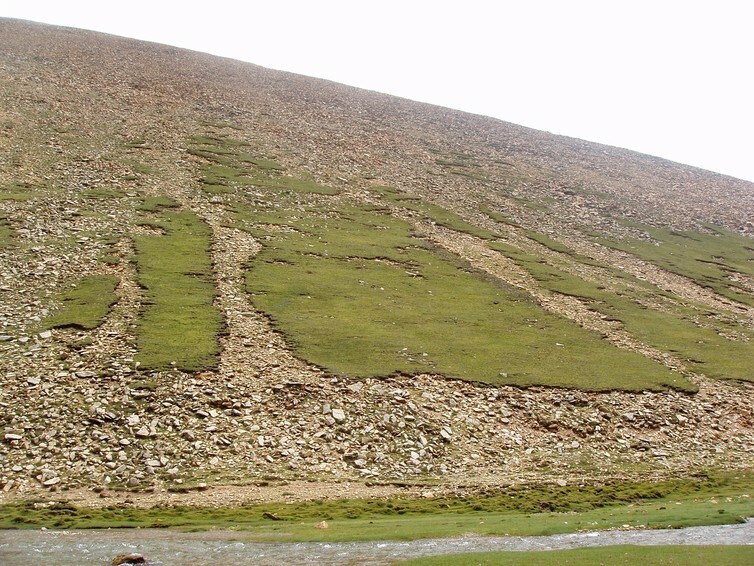 The dome, which is about 25 kilometres across, comprises a core of rocks originating deep within the Tibetan crust now exposed beneath a carapace of much shallower rocks. RAISING TIBET – RAISING TIBET AWARENESS. 1. UNDERSTANDING ACTION OF NATURAL FORCES – PLATE TECTONICS, 2. KNOWING RED CHINA’S OCCUPATION OF TIBET USING MILITARY FORCE. 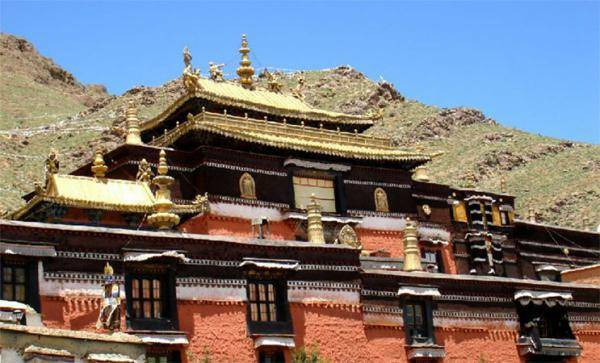 Kampa is just one of a number of domes distributed in a belt along the southern boundary of Tibet, not far north of the Himalaya. 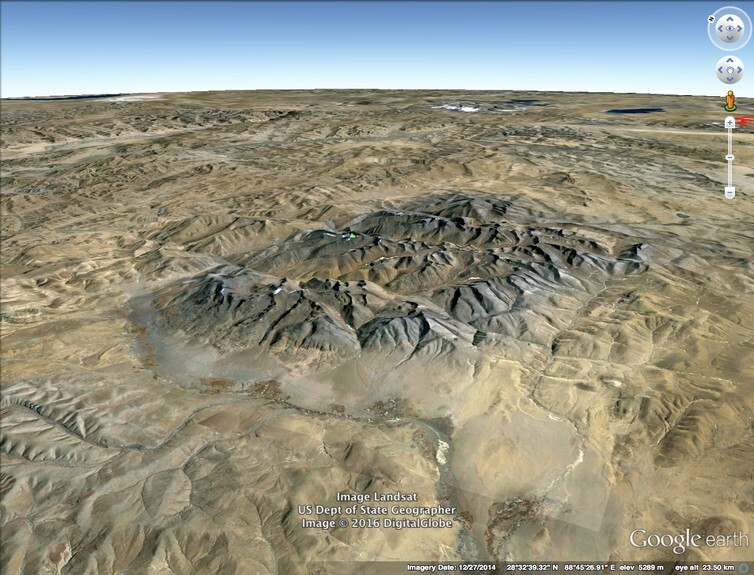 These domes attract the attention of geologists interested in what’s going on deep under Tibet and in the sequence of events that raised the plateau over the last 50 million years or so. And that is not just of geological interest. 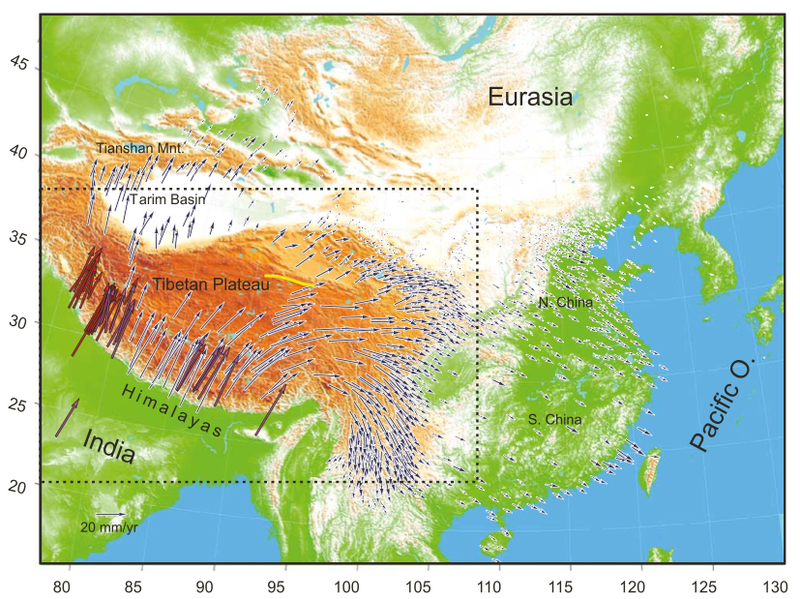 The Tibetan plateau is so large, and so high, that it influences the global pattern of atmospheric circulation. So the raising of Tibet has had a profound impact on the evolution of the modern climate system. It is one of the elements in the transition from the green-house world of the dinosaur era to the ice-house world in which our own species has evolved. Our work in Kampa was part of a broader program investigating the magnitude of the forces that drive tectonic plate motion. Amongst other things, getting a handle on those forces is important for understanding what limits the heights of our great mountain ranges such as the Himalaya. The particular issue that motivated our interest in Kampa was the idea that weak rocks heated beneath Tibet were being, or had been, squeezed outwards to the south in a giant pincer movement by the ongoing convergence between the Indian and Asian plates. The idea that the rocks exposed in Kampa, as well as in the high Himalaya, are a kind of geological “toothpaste” is quite a departure from the conventional view that the mountain system has been created by stacking of thrust sheets one on top of the other. One of the master faults lying above this purported channel of extruded rock is exposed high up in the face of Everest beneath a limestone that was deposited immediately prior to the raising of Tibet. The southern Tibetan domes make for rather easier and less dangerous field work than the face of Everest. More than any other, mountain landscapes manifest the awesome power of our restless planet. In the rarefied atmosphere high up in the Kampa, the sense of awe was greatly magnified, especially with the Himalaya towering above the horizon. The amount of energy involved in building these mountains, in lifting those 50 million year old limestones out of the sea to now sit high up the slopes of Everest, is simply mind-boggling, or so you would think. To give you a sense, let’s calculate it. Even though it involves some big numbers, the calculation is really quite trivial. We simply multiply the area of the plateau (about 2.5 million square kilometres ) by the work done against gravity. To lift a column of the crust one square metre in area by 4-5 kilometres takes about 4 trillion joules. Harmonising units, and we get our estimate of the work done against gravity in raising Tibet – about 10 yottajoules (think “10” followed by 24 zeros). The trouble with big numbers such as these, and one reason they feel so daunting, is we have no natural reference frame to make comparisons. So let’s compare it to the energy we humans consume to run our daily lives. We could ask how many years would it take to raise Tibet if we put all human energy consumption to work. In its Statistical review of world energy BP estimated the human primary energy consumption in 2015 at 550 exajoules (that is 550 followed by 18 zeros). At that rate, and neglecting inefficiencies, it would take about 20,000 years to raise Tibet. While that’s a long time, it’s far less than the 50 million years that nature took to raise Tibet. In fact, the rate we consume energy is around 2000 times greater than the 10 gigawatt rate nature has been storing it in the raising of Tibet. Here in Victoria, with a population at about 6 million, we consume electrical power at a rate of about 5 gigawatts. Making that electricity is only about 30% efficient, and so the burning of coal releases heat at a rate of about 15 gigawatts. We use energy at a rate, quite literally, that could make mountains move. Now that is something I think really is mind-boggling. 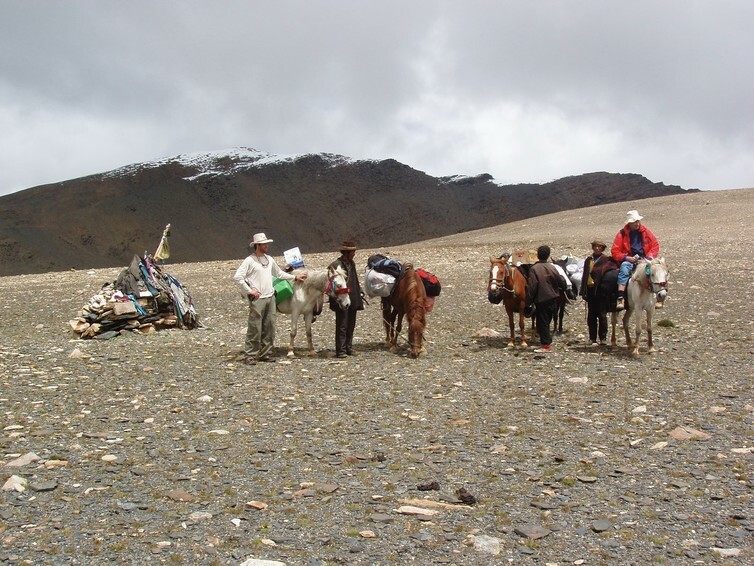 We were guided in our work in the Kampa in 2004 by local herders. It’s hard to imagine more hardy folk. While communication from Tibetan to Chinese to English and back again meant many nuances were missed, it was a special experience. It seemed our guides hadn’t had much to do with westerners before, and we were quite a source of amusement for them. Indeed, it seemed to me there was a very real sense of fun in the way they went about their daily life on the top of world. Our Tibetan guides in one of the glacial valleys high in the Kampa dome, southern Tibet. A particular highlight was their invitation, on our arrival, to join for some authentic yak’s butter tea. At these heights with little oxygen, not much fuel and with everything just a little damp, cooking is challenging. Burning damp goat dung in the close environment of a yurt produces an awful lot of foul-smelling, acrid smoke, but not much heat. I didn’t much enjoy the taste of the rancid butter either. While the invitation to join with our Tibetan hosts in their summer home remains one of my most treasured experiences, it was with some personal relief that I declined a second “cuppa”, doubting I could hold any more down. Enjoying yak butter tea inside our host’s yurt at over 5000 metres above sea level in Southern Tibet. Despite it’s remoteness, this is a region in transition, for many reasons. One of my enduring memories of the Kampa is captured in the photo below, showing the alarming degradation of the thin soils that mantle these recently de-glaciated landscapes. RAISING TIBET – RAISING TIBET AWARENESS. 1. Understanding action of natural forces – Plate Tectonics, and 2. Knowing Red China’s Occupation of Tibet using Military Force. Environmental Degradation (De-glaciated Landscape) is result of Occupation. Like so many parts of the world, soil loss in the Tibetan plateau is an issue of critical importance. As this photograph dramatically illustrates, the thin soils that mantle the rocky, recently de-glaciated landscape in the Kampa appear to be degrading at a frightening pace . The story of what we are doing to soils on this planet is an issue of immense importance, for all people. Copyright © 2010–2016, The Conversation US, Inc.
Raising Tibet – Raising Tibet Awareness. Raise The Tibetan Flag to Raise Tibet Awareness. Raising Tibet – Raising Tibet Awareness. Raising Tibet – Raising Tibet Awareness. Gyantse – Shigatse. Raising Tibet – Raising Tibet Awareness. Tibet is never part of China during any time of human history. Raising Tibet – Raising Tibet Awareness. Tibet is Never Part of China. Raising Tibet – Raising Tibet Awareness. Tibet is Never Part of China. It is correct to state China is in Tibet as an Occupying Force. Raising Tibet – Raising Tibet Awareness. 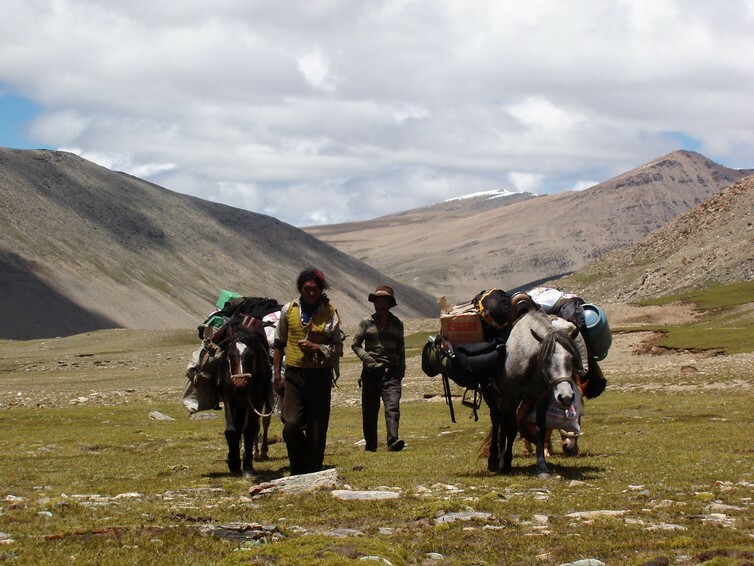 Red China’s Occupation of Tibet threatens World’s Water Supply. Tibet is Never Part of China. Raising Tibet – Raising Tibet Awareness. 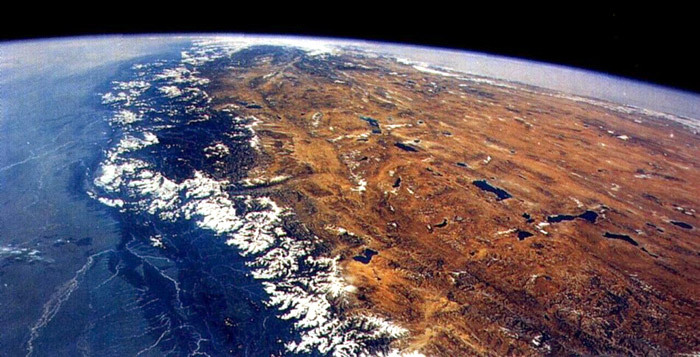 A view of Tibetan Plateau and Himalaya Mountain Range. Tibet is Never Part of China. Raising Tibet – Raising Tibet Awareness. 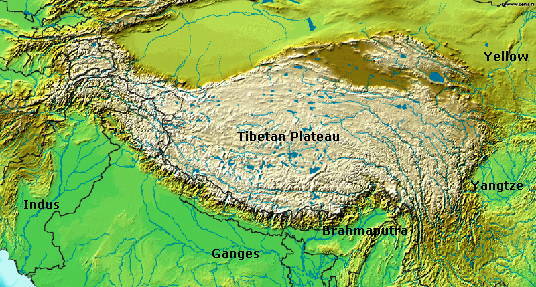 Tibetan Plateau plays a significant role in shaping climatic conditions. Problem of Pollution on Tibetan Plateau and melting glaciers cannot be ignored. Raising Tibet – Raising Tibet Awareness. Roof of the World is in danger. 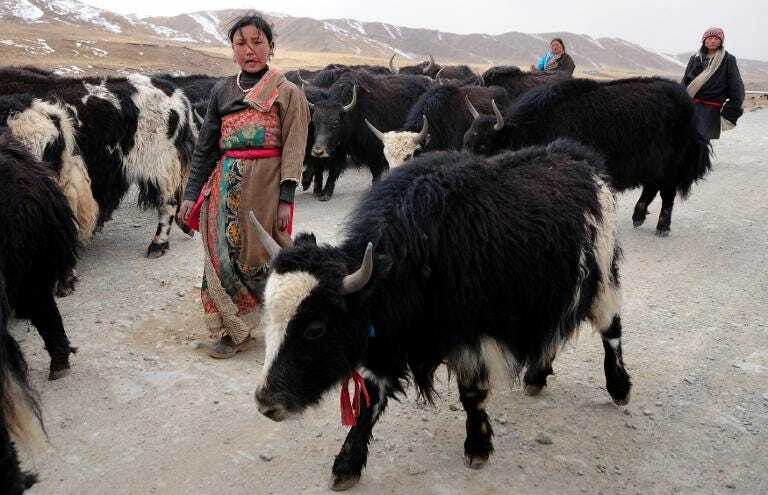 Red China’s Occupation of Tibet causing severe environmental degradation. Raising Tibet – Raising Tibet Awareness. 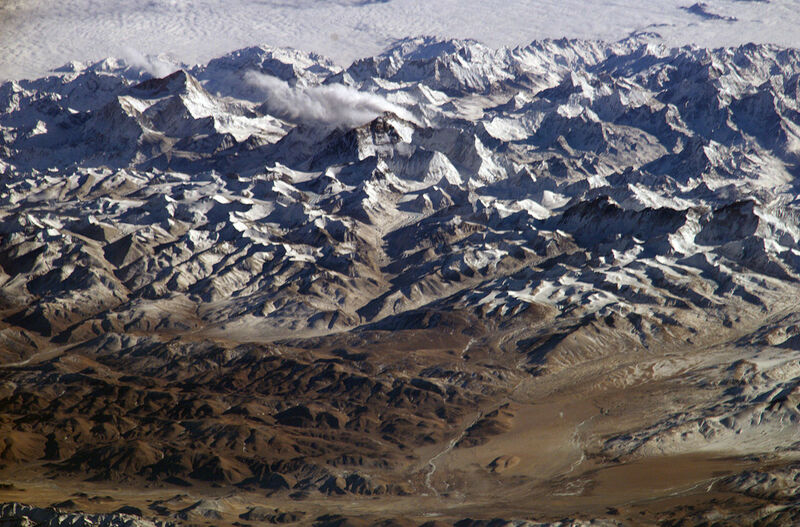 Collision between Indian Landmass and Eurasia is raising Tibetan Plateau. A similar collision involving Force can evict Red China from Tibet.